Eaton Series G Type LGH 3-Pole LG-frame molded case circuit breaker is rated at 600-Amps and 600-Volt AC. Interrupt current rating of this circuit breaker is 35-Kilo-Amps. It has LI, fixed thermal and adjustable magnetic trip to offer overcurrent protection for sensitive equipment. This 3-Phase circuit breaker has line and load side lug terminal connection. It measures 4.09-Inch x 5.48-Inch x 10.13-Inch. 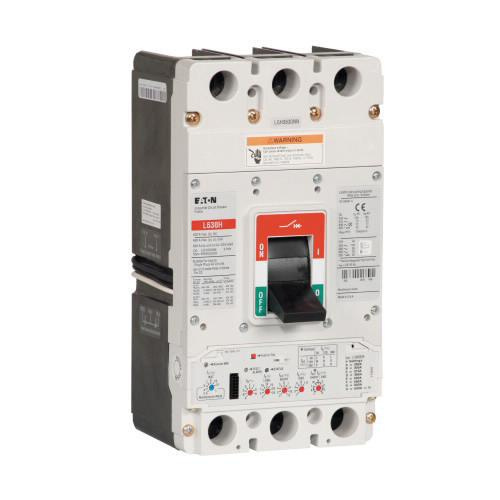 Circuit breaker is UL listed, CSA/CE certified, HACR rated and meets IEC standards.